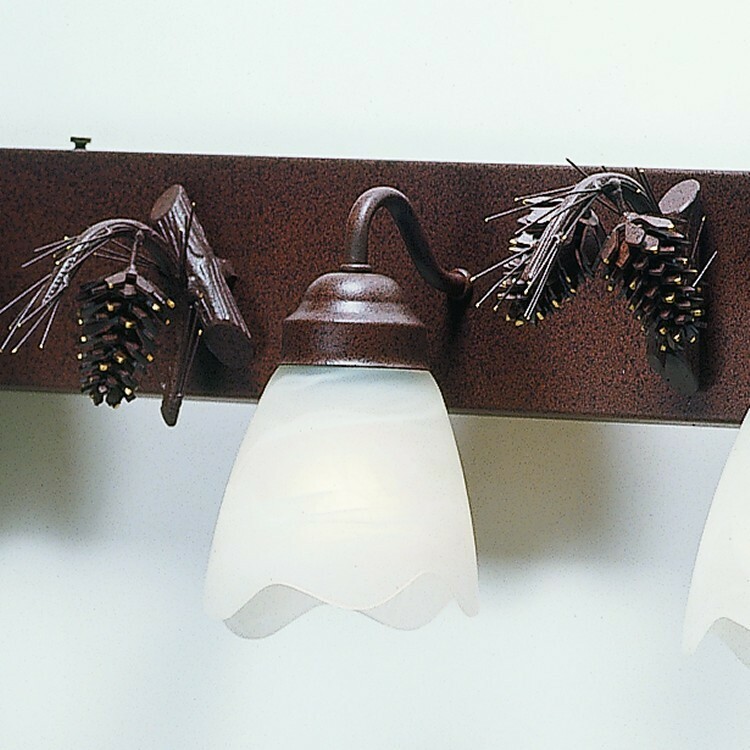 3-D pinecones grace this rustic vanity light with alabaster glass shades. 3-D pinecones grace this rustic vanity light with alabaster glass shades. 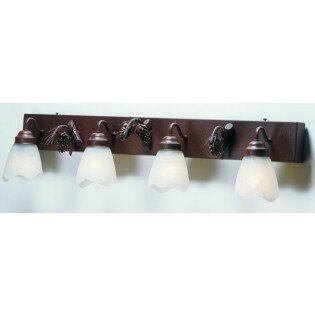 Over all height of the 3-D Pinecone Vanity Light is 10", depth is approx 4.25". Available in either rust or black finish. Made in the USA. Model BL36 measures 36" wide and uses 4-100 watt bulbs.